Luck and chance play a big role in bird watching. It’s part of the fun, and everyone seems to have a story about the time a really great bird made a surprise appearance. I’ve shared a few “luck stories” myself in this space, most recently about an improbable yard visit by a pair of green herons. 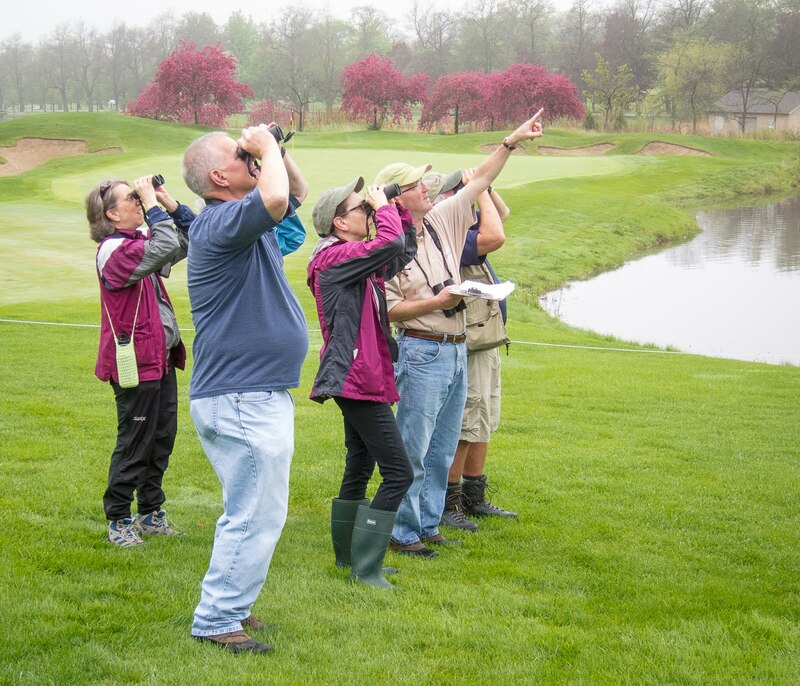 For this column, however, I invited a few of my DuPage Birding Club colleagues to relate some of their luckier moments in the field. The hardest thing, they told me, was choosing just one. Jeff Chapman, from Woodridge, recalled a cold November day when he was birding with his wife at Morton Arboretum. They were looking for crossbills in the hemlock area when Melinda’s back stiffened up. It was only the second saw-whet Chapman had ever seen. The tiny species is a rare visitor here and quite difficult to find. This owl was in the open, but would he have noticed it if he hadn’t been helping his wife? Maybe, maybe not. He thinks luck had a lot to do with it. Susan Kaley from Naperville described the time she was biking on the Prairie Path and, on a whim, decided to take a different route than usual. Near Timber Ridge Forest Preserve she heard an unusual bird sound. So she jumped off her bike, pulled out her binoculars, and was soon looking at a prairie warbler—a truly rare bird in DuPage County and a new entry on Kaley's life list. This last story is my favorite. Kate Frazier, from Batavia, was birding in Rocky Mountain National Park with her husband Jim and some friends. Their “target bird” one morning was the three-toed woodpecker. They went to a spot where the species had been seen before and waited. And waited. Finally, they decided to move on and try another place. But Frazier stayed back to take care of some personal business—nature was calling. And then, as she was doing her thing in the underbrush, a male three-toed woodpecker landed on a tree beside her! Luckily, the woodpecker was cooperative. After Frazier reassembled herself she caught up to the group and led them to the bird, a “lifer” for all. For sure, some birders are luckier than others. They’re the ones who are always prepared, always ready for something unusual. I know people who have seen golden eagles pass over DuPage County—this fall, in fact. That’s lucky by any measure, but they knew what to watch for. And take my friend Susan. She’d never seen a prairie warbler before but she’d heard a recording of one, so she hit the brakes. Me? Well, when those green herons appeared last June I had a garden hose in one hand and a coffee cup in the other. But my eyes and ears were open, and binoculars were around my neck.